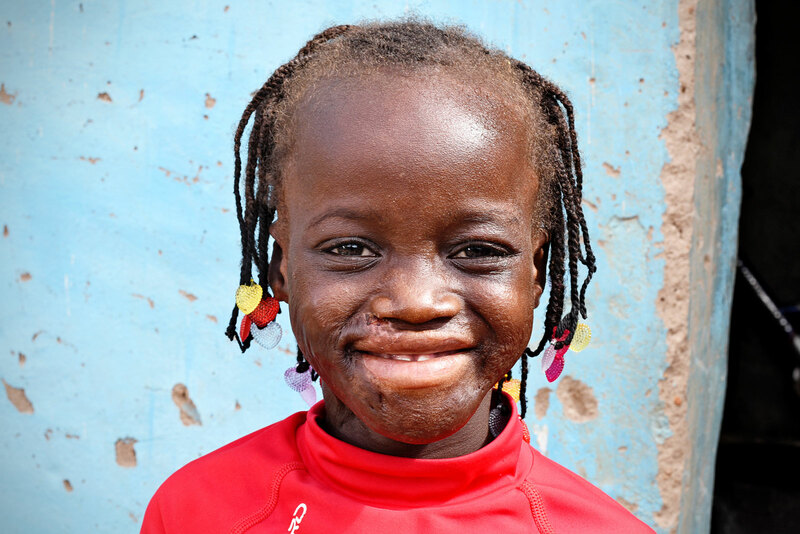 When Rihanata suffered severe burns to 80 per cent of her body, she turned her story of pain into a testament to God’s healing power. On a quiet September morning two years ago, the first ray of sun was already heating the soil of Leo, a small town in southern Burkina Faso. Nematou kissed her young daughter goodbye as she left their compound, making her way to the roadside to sell fresh mangoes to passers-by. Five-year-old Rihanata stayed behind with her grandma. She didn’t mind. She had serious playing to do. Rounding up her cousins from next door, their laughter and shouts soon filled the air. 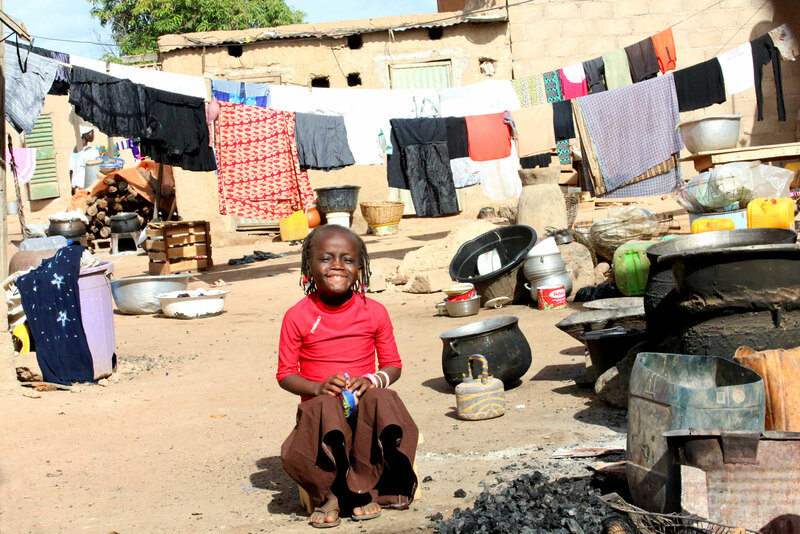 The family’s compound is made up of traditional small mud houses with outdoor kitchens and combined bedroom and living areas, so the children always played outside. As her grandma began preparing lunch over the fire outside, they played hopscotch and hide-and-seek, ducking around the large cooking pots and under the lines of drying washing. As she chased her cousins past the blazing cooking fire, Rihanata tripped and lost her balance. Unable to catch herself, she fell right onto the furnace. Before her grandma or neighbours could react, a pot of sauce tipped over, spilling its boiling contents all over her face and body. Instantly, the little girl was in agony. She still doesn’t have the words for the horror she found herself in. “It was so very painful that I can hardly describe how I felt,” she says. Her cousins ran to fetch Nematou, who sprinted back to her daughter. Her heart seemed to stop when she saw her. Rihanata was screaming and writhing in pain. “I have never seen someone feel as badly as my daughter,” she says. Her first reaction was to pull her daughter into her arms but there was no safe place she could put her hands. Rihanata found herself at the health centre in Leo, with her chest, arms, legs and face covered in bandages. Doctors quickly realised her injuries required specialist care beyond their resources. If she was to survive, she needed to be transferred immediately to the capital. Nematou’s heart sank. Ouagadougou was 200 miles away. Unable to afford health insurance, she knew her family couldn’t afford the expensive surgery and follow-up care her daughter desperately needed. With a flicker of hope, she picked up the phone and called the Evangelical Temple El-Shaddai church who run the Compassion child development centre her daughter attends. Health specialist Patrice answered and sprang into action. 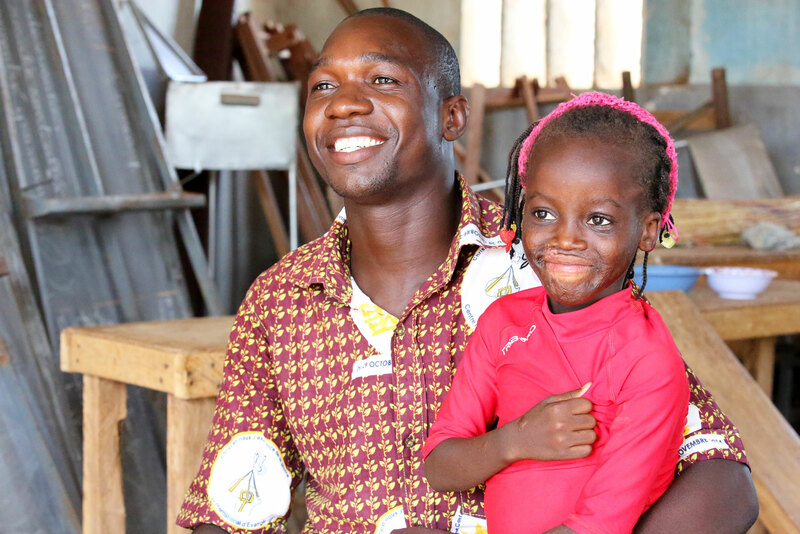 “As soon as I received the call from Rihanata’s mum, we prayed at the centre and I immediately travelled with the girl and her mother in an ambulance to the paediatric hospital in Ouagadougou,” he says. She was admitted to intensive care, where doctors found 80 per cent of her body had suffered severe third and fourth-degree burns. Surgery was organised to repair her skin and cover the raw wounds on her legs, stomach and face. Healing burns often involves inflicting pain. 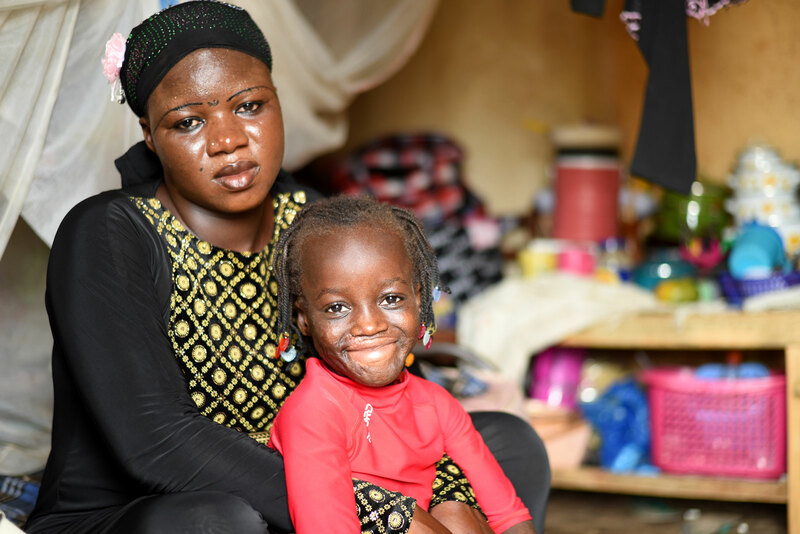 In the difficult months that followed, all Nematou wanted to do was grab her daughter and run from the hospital to protect her from the agony. Amidst the confusion and stress, Patrice and the other Compassion child workers helped support them through the tough times. 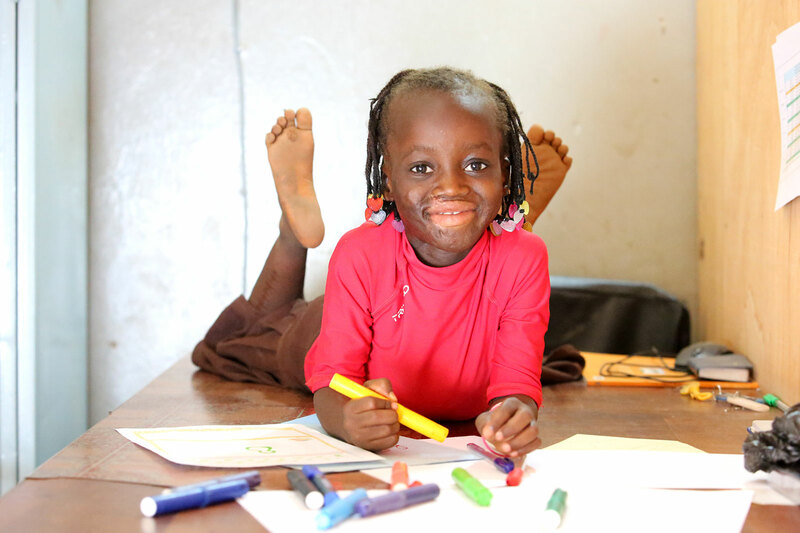 As she lay in her hospital bed feeling like every inch of her body was still on fire, Rihanata thought back to songs and Bible verses she’d learned as a sponsored child at her Compassion centre. She’d been taught that Jesus loves children and cares for them and she took those words to heart. Her faith bolstered her courage; her strong attitude impressing everyone. “Rihanata kept praying to Jesus for her healing,” says Patrice. “She has been very courageous and determined to get out of the hospital. One day, when I was leaving the paediatric area, Rihanata reminded me and said that I shouldn’t go without praying for her recovery. I stopped and prayed, and she said ‘Amen!’” It took 15 long months before she was released from hospital but Rihanata never gave up. In December 2016, she finally returned home to Leo. Everyone who saw her thanked God. Her tragedy has become a great testimony in her family, neighbourhood and at her Compassion centre of God’s provision and faithfulness. Today, Rihanata is seven years old. Her burn scars are still visible but she shrugs them off. She has things to do, games to play and dreams to achieve.